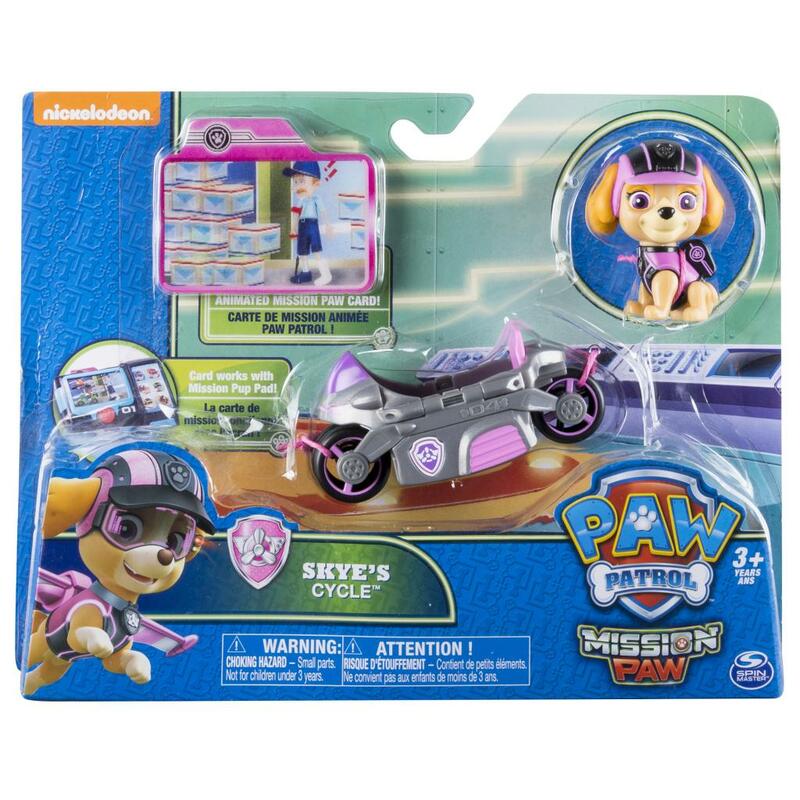 Take to the sky with the Paw Patrol Mission Paw Skye’s Cycle figure and vehicle set. Load the Skye figure into the vehicle and get ready to roll to your next rescue. 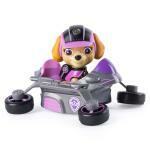 With real working wheels and kid-powered racing, Skye is ready to save the day! This set includes an animated Mission Paw card for even more adventure. 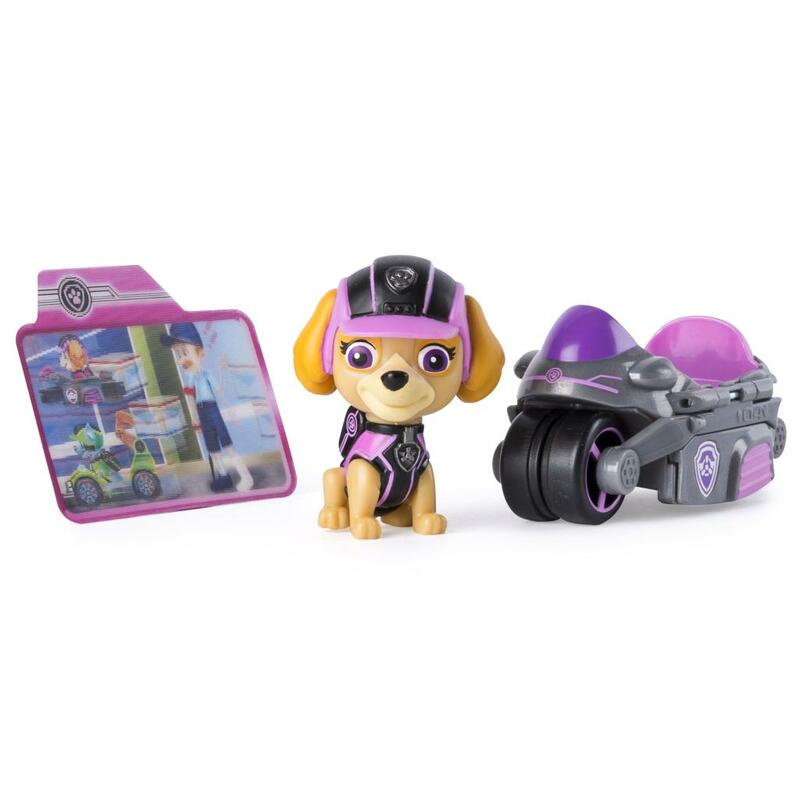 Collect all of the Mission Paw pups, their vehicles, and the Mission Cruiser (each sold separately). No job is too big, no pup is too small for the Mission Paw pups! Place the Skye figure inside the cycle vehicle and get ready for a ruff-ruff rescue! Includes an animated Mission Paw card that works with the Mission Pup Pad (sold separately). 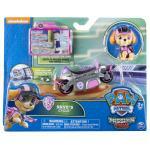 Collect all of the Mission Paw figures and vehicles and load them into the Mission Cruiser (each sold separately). Paw Patrol figures and vehicles are for ages 3+. No batteries required.